How can you fit your creativity into an already busy life? I’ve been working with artists and students to find a different, more effective approach and I think I’ve found one. Step 1. Paint with only one colour per week. Whoever said you have to complete a painting at every sitting? Nobody, as far as I can tell. It’s just when you see artists working, they often look as though the painting comes with ease, a ‘happy accident’ occurs turning their mistake into a perfectly formed cloud. Your accidents are anything but happy, causing close family members to ask the worst question anyone can ever ask. Most of us assume that successful paintings are created in a moment of inspiration, a flurry of creative genius, paint flying, brushes waving. But they aren’t, most professional artists are much more considered. If you’re strapped for time, there’s nothing wrong with starting slowly, your subconscious might even be grateful. Most people have so much on their minds they don’t have time to create a completed painting at the weekend, and it leaves you feeling frustrated. By cutting back, and giving yourself permission to achieve one small step towards your finished painting, you’ll make it easier for yourself to stay painting. Okay, So what colours should I use? There’s no specific magic colour, but here’s a suggestion: Start with ultramarine blue & white. To create one good image with one single colour is far better than 100 incomplete paintings with 10 colours. Often creative people are brilliant starters, but not great finishers. I bet you have 100’s of amazing ideas for paintings you’d love to do, if only you had the time. Start with one colour and work your way up. The key word is “good.” One well composed, well-thought-out painting is more rewarding than hundreds of hurried ones. You can create a wide tonal range with ultramarine blue, it has a low series number so doesn’t cost much and will be useful in numerous paintings in the future. Some artists are faster than others, but in general, if you’re spending less than three hours on one of your paintings, you’re probably going too fast. Cut back the quantity, and focus on quality. By itself, this will often double or triple your completion time, which will both boost your confidence and skill as a painter. But it also does something else: it frees up time to look. Step Two: Find one painting per month to copy. As you’ve probably seen, there are hundreds of techniques for becoming a better painter. In an ideal world, you would live in Italy, studying classical painting techniques whilst absorbing the Renaissance atmosphere. Stopping for the occasional gelato to watch the world pass by. Even if you were painting full-time with an army of assistants (Damien Hirst has over 100 assistants to help him paint his works), you couldn’t do everything. Instead, focus on one strategy, and get really good at it. My advice: Start with the master copy. Here’s why: pretty much every painting technique you need to learn has been done before. And often these are your favourite paintings. To make a painting work, you need to learn from the best. So pick a painting, and pick a section from it. You don’t have to paint the whole picture. Just a small section to start with. And try to copy it. It won’t be brilliant, but you might be surprised. Even though you think that you know a painting really well, you never really see it until you have to draw it. You never really know the subject until you have to paint it, you have to engage and concentrate. This painting below was a copy, I borrowed it from Jacob Collins, a fantastic painter in New York. I painted a detail, an oil portrait of the head. Did I improve my painting? The painting ended up getting selected for the Royal Society of Portrait Painters annual exhibition in the Mall Galleries, London. Thanks, Jacob. And that’s hard when you’re a beginner because you don’t have as many of the skills you need. In my opinion, it’s far, far easier to understand how great paintings work, and then use those painting principles to create your own pieces. One painting a week, even one painting a month you would soon have a collection. Once you start getting results, I think you’ll find it’s a lot easier to start experimenting with more colours. Adding burnt umber to create a black and learning about warm and cool colours. It will then be easier to progress to choosing a full palette. Everyone is more motivated to work on something that’s working. You’ll want to do it, and that makes painting a lot more enjoyable. Instead of dreaming of learning how to paint, you’ll actually be able to do it. You might not know what to paint next? And this can be daunting, you want to paint your cats or dogs, husband, wife or children but that seems like a huge leap. 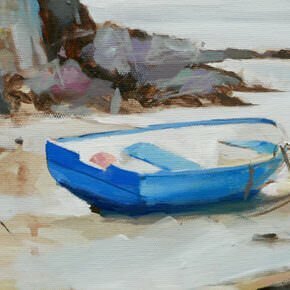 If you want to get started and build your confidence you can learn how to paint in my online course How to Paint with Acrylics. I show you step by step how I create the painting, and you can follow at your own pace, in between picking up the kids, to fulfil your painting potential. If you want to make this year about simplifying and getting more results from less effort I think this is something you should think about – You just need a few tricks of the trade to help you get started. About the Author: Will Kemp is the founder of Will Kemp Art School, has an insatiable appetite for ice-cream, and highly recommends the dark chocolate ice-cream in Grom, Florence (it is immense) He can also teach you how to paint. Your site is wonderfully generous and informative. Thank you for sharing your knowledge. Thanks very much Ingrid for your kind comments. Love the painterly style in your paintings btw. This was exactly my question too. Where will I get timeto paint. I love Oils and have done a few paintings. It,s so relaxing and therapy for stress. love it. !Sunshine greetings from S.A. I think this article was written just for me! – it’s exactly what I need to do! (Come to think of it most of the other lessons are as inspirational.) Thanks for being such an inspiration and sharing your tips, long may they continue and I wish you much success for the future! Hi Nigel, great to hear from you! Really pleased that the article resonates. Often the first steps really are the hardest and not putting as much pressure on yourself to create the ‘perfect masterpiece’ every time can be hugely beneficial in your creative output. To have one small painting started is better that seeing a similar painting in a gallery and saying to yourself “I could have done that”. I really love your site. Thank you very much for your clarity and common sense. You’re a true teacher, so giving and fun. I’ve become a fan and I’m greatful for the tools you provide so that I can become a good artist. I’ll stick around. Blessings. Hi Miriam, Thank you so much for you kind words. Really pleased to hear you are enjoying the site and my teaching. Thanks for writing this. I’m a digital artist and I’ve just started painting traditionally again after so many years. A few days ago I bought a bunch of acrylic paints and some mediums and I find your blog very helpful. I tried making an acrylic painting last night, the result was OK but I felt so frustrated because I wasn’t used to the workflow, and this post really helps to remind me to simplify by using less colours and take it slowly! I also don’t do nearly enough master copies so this is a great time to start! really pleased to hear you enjoyed the article. The shift from digital artist to painting traditionally can be a tricky one, but stick with it because the drawing and composition skills you’ve learnt will really help you. I’ve recently had great results on the painting course from a digital artist who also wanted to try traditional painting, I’ve just posted his first acrylic painting here. Hope it inspires you. I want to branch out and paint brighter, more vibrantly. Your site has been a valuable tool to show me where I am going astray. The videos have been very helpful to display the painting theories! I love them! I will be returning regularly to see what is new and exciting. Thanks so much for your kind words, pleased to hear the site is helping your return to painting. Unfortunately acrylics will always dry slightly darker than they appear when wet. It is more pronounced with student grade paints where the shift can be quite a lot. I had a quick look at your paintings and they look really interesting, are you sing gels and photo transfer? This is just to say once again how deep is my gratefulness . I am absolutely new early beginner. And I am so lucky to have you as my first teacher. What I am wondering here is how should I proceed when copying a piece of someone who is sharing his/her works through the internet? I am worrying about being a plagiarist or something like that. Do you think I should just mention this is a copy or should I copy only a detail or fragment? It depends what the end goal is for your painting, things only get tricky if you start to try and exhibit the work. If you are copying a painting to learn about techniques then you’re absolutely fine, if however you want to then exhibit it, with the view to selling, then an exhibition is regarded as advertising – and could be seen as breach of copyright. 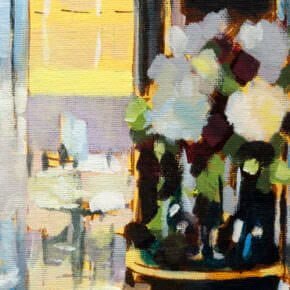 I would recommend you approach the artist and ask their permission even if you’ve mentioned it is a copy eg: ‘After Monet‘ in the title, if you intend to exhibit it. A detail or a fragment is easier to be viewed as an original piece in its own right, but unfortunately is viewed in the same way. Copyright in most countries is considered to have expired 70 years after its creator has died, hence why I recommend the Old Master copy. I must admit this is a tricky subject with many grey areas. I’ll look into doing a post on it in the future. So, im attempting acrylic painting now, and Im trying to start a new piece, where I need to paint “translucent” things. Something like a sheer curtain or a veil, through which you can still see what’s behind… I cant imagine how i would do such a thing with acrylics, or how i would thin down the paint. Do you have any tips on that? Also, any tips on how to make very very fine, straight lines? So, im attempting acrylic painting now, and Im trying to start a new piece, where I need to paint “translucent” things. Something like a sheer curtain or a veil, through which you can still see what’s behind… I cant imagine how I would do such a thing with acrylics, or how I would thin down the paint? Also, any tips on how to make very very fine, straight lines? I would personally use a Rigger brush, due to their long bristles, these are great for getting straight thin lines you can pull the brush along a ruler to get them even straighter. Great great site you have!.. the best out there IMO. I find your explanations very clear and simple to follow and very and helpful. I’ve completed this project and it was very enjoyable and educating. I’ve used Carmin instead of Alizarin crimson permanent as I could not find it at a near local store. Great to hear from you. Thanks for your kind comments. Great to hear you enjoyed the painting project, the carmine is a good choice as an alternative as it has a purple tinge. Will you are ummmmazingband I WILL be a better painter for having found you! You are nice to look at too ;-). Your honesty is so appreciated! Thank you!!!!!!! Can’t stop reading this site! Going to do allllllll videos!!!!!! Can’t wait for this journey! That’s great news, really pleased it is helping on your artist journey! I Mujah wada, undergraduate at Ahmedu Bello University, Zaria Kaduna, State Nigeria, Faculty of Environmental, Department of Fine Arts. Three 300 level Painting section. Sir your advice is a nice and very good to all those who are learning to paint, thank you. Thanks Mujahid, great to hear the website is helping with your painting. Thank You so much for posting this as it helped in encouraging me to paint more rather than worry about not having time to pursue my hobby. Thank you very much for the instructions on this website. It will certainly be very useful to people like me who cant afford the luxury of art schools. I am born deaf-mute and hold a job which does not pay enough even to buy paint sometimes. I therefore rely on free websites like this to pursue my passion for painting. Thank you once again for yor your generosity by sharing your skill to one and all. Thanks for this great website! I came upon it looking for resources on how to paint with acrylics. The info on the site is so helpful. Your videos are great! 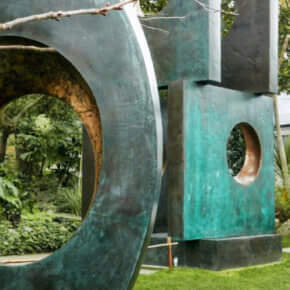 Whereas for your second step, some people will criticize that recopying some art works that have been done shows no creativity and imaginative ability of the painter, what do you think? Hi Juni, Glad you enjoyed the article, painting with a classical technique can take many layers and days of painting. Regarding copying artworks showing no creativity and imagination, I’d have to disagree. When you’re first learning painting an understanding of the fundamental principles are key. Its like learning your scales to practice a musical instrument. Once you have studied the classics, you can then experiment knowing how and why to find your path back and develop your own personal style. After years away from the canvas, my wonderful husband bought me an easel and some brushes for Christmas and I can’t wait to start up again! Your website has been incredible as I figure out the best place to restart, especially since we’re expats living in the Czech Republic and I don’t have access to courses in English & I got rid of all my old supplies before we moved here. I can’t tell you enough what a great site you’ve put together and how much I’ve learned from all your videos and articles, so thanks for your encouragement and great instruction. Now I just can’t wait to go pick up some paints in Prague next week and get started! Nice to hear from you. What great news to be painting in Prague, the architecture is fantastic! So glad you’re finding the website and videos helpful. Glad to discover your site. I was really grateful. Since last christmas a friend gave me as starter set for acrylic painting. Luckily I found your site, find it very educational. Now I have a teacher. Thanks so much. My interest is on landscape and seacapes, can you recommend anything for my first painting. Hope to hear from you soon. Hi Maebel, yes this beginners acrylic seascape course is the perfect starting point to make good use of that starter set! Hi Will, I am sooooo glad to have found your website. I haven’t painted ANYTHING (apart from a few skirting boards) since I was at school 20 odd years ago. I have now started playing around with acrylic paints and lovelovelove it. However, I am making virtually no progress because I keep coming back and back to the same point and find myself not knowing what to do next. What do you advise? I have been painting/copying bits of photos but I think that maybe I should try still life or – something I’d love to do – copy some of the works of the Masters … Van Gough in particular. But then I get stuck because of colour choice. I’d like to try your idea of painting in two or three colours. Maybe a landscape … I’m going round in circles here. I have loads of enthusiasm but don’t know what to do with it! I so, so, so want to learn. Do you have a film/dvd that starts with something fairly simple and that will enable me to learn a bit as a time as I go? Your website is amaaaaaaaaaaazing. You have spent a lot of time on it and I am very grateful to you … but I must spend less time surfing my way through all your tutorials and actually do some of my own painting. Where shall I start???? Helphelphelphelphelp!!! Thanks for dropping by and so glad you’re enjoying the website. 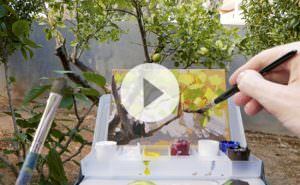 The best place to start is one of the free video tutorials, there’s a simple landscape and still life that use a limited palette and take you though the process step-by-step. For more indepth training I have a simple colour mixing course and Impressionistic seascape course but with all your enthusiasm I would roll my sleeves up and actually get painting. You’ll breath such an internal sigh of relief to be ‘doing’, rather than surfing. Creating a painting following the tutorials has been designed so you don’t get overwhelmed and you can build on the principles you learn. Fab advice, fab website … I’m going to have a go. I had a lovely time on Sunday afternoon creating my own landscape painting and it’s not too bad for an absolute beginner. Now I am stuck. My painting doesn’t look finished and in your tutorial you said you’d glaze it. What colours would you use on this particular painting? Are there any tutorials on glazing techniques? I don’t want to paint over what I’ve done and ruin the work I’ve done so far! Are you working on the Simple Landscape free tutorial? It sounds like you had a great day! The best example of glazes you can watch, is on the final part of the cherry tutorial. I don’t currently have any specific tutorials on glazing. 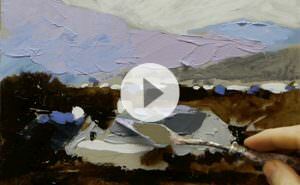 Glazes are used on top of one another to build up depth and modify colors in a painting. A glaze must be completely dry before another is applied on top and is an advanced technique. 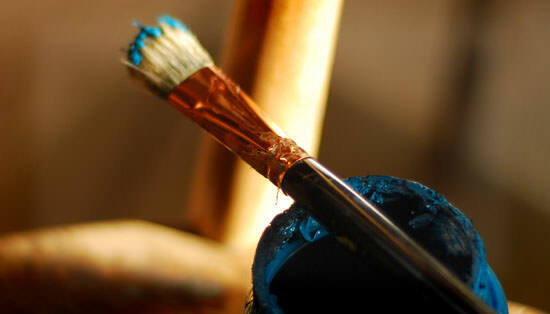 The best paints to use for glazes are pigments that have a translucent quality. You’re welcome Sianna, kind of you to say so! Hi Will, Thank you for all of your advice, you are a great teacher. I am seventy years old and you never ever stop learning, believe me. I am really pleased that I found your site. I have started acrylics and really badly needed to learn the techniques properly, eg how to prepare canvas and all about brushes and colours etc. Now I am well on my way and thank you again. Best wishes Ann in Australia. First up, you are kinda cute in your photo….but don’t worry I am happily married. In fact I have two cute but busy boys as well and find it hard to find time between things to set up the paints blah blah (as the kitchen is my studio for now) so your suggestions here are great. I am really enjoying reading through your website and looking at the tutorials and I love the idea of using only one or two colours. I am beginning in water based oils and I find a large palette quite daunting plus I love the look of a limited palette with lots of tonal range. Thanks for your great website. Thanks for dropping by and glad the website is inspiring you! I was happy to find your site today and appreciated this post. I recently began copying (with my own touches) work of Renoir and found that these pieces are some of the best work I’ve done so far and the ones I enjoyed the most! It seemed my painting greatly improved by just taking in his work and enjoying doing my own version with a no pressure/relaxed approach. Looking forward to reading more on this site! Nice to hear from you. Great that you’ve been having success by painting from the work of Renoir. You’re right, having the pressure off and just concentrating on the painting can really help. Enjoy looking around the site. I love doing Acrylic abstract art BUT and big BUT I am battling with something. Maybe you can help me… When painting and making different shades with one color my painting looks like something out of the dustbin. How can I improve this? Hi Gideon, its all to do with how colours relate to each other. Mixing a variety of tones with one colour can be a very helpful way of painting. Have a look at this article on colour strings. But the main thing to learn is the theory behind colour mixing with paints, then you can mix any colour you like. Have a look at my simple colour mixing course. Pleased you’ve found the site inspirational in getting you painting! Looking forward to hearing your results. I study fabric and restoration iranian carpets. I know Iranian carpets are very complex in colour, so you must have great patience for your craft. Impressive!! with a simple and practical recommendations you took me to the road again, the truth I was a little lost, I stood in front of the canvas for days trying to start but is like I was frozen trying to get the heat, in my head the idea was around, around but could not give my first step with the brush, the colors gave and hanging over my head until I read your article three steps to becoming a better painting. Thanks for your guide and to keep us going. Really pleased to hear the article has inspired you to stay strong to your destination with your paintings, even if they take one day or one year, as long as you keep returning to the easel is all that matters. And you’re so right, your paintings are your paintings! So as long as you are enjoying the process, techniques and expression then you will produce the best work. Thanks for the excellant advice about achieving more by doing less. Pleased you enjoyed the article. If you start with the seemingly boring parts of your painting first there is always more of a drive to ‘get to the good bits’ (even though I personally enjoy the entire process!) but if you’re painting a portrait, concentrate on the shadows, the clothes, the background and leave the details of the face until last. This way you’ll want to keep painting, it’s about keeping a discipline to your creative practice and you’ll find you will learn more as a painter by pushing through those final parts of a painting, as these are the areas where it is easiest for the painting to all go wrong. I would say your challenge for today is to pick up an unfinished painting and stay at the easel until it’s finished. No tea breaks, no excuses, just imagine you’re locked to the easel until the paintings done. 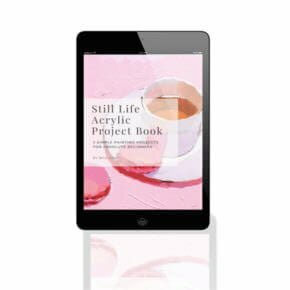 It’s hard, but will teach you a great deal about being a productive painter. I have a question concerning color composition and contrast. I am working on this acrylic painting. It is for an annual phobia show..I’m doing lachanaphobia-fear of vegetables. My subject matter is a girl in the forefront and she’s pale with powder blue shadows and she’s in a cornfield. The stalks are in the background and they are a red brown with purple brown shadows. The sky is teal with exposed wooden tones clouds. I have a corn stalk in the foreground that is pretty close in size to the girl but slightly bigger and goes along the left side of the painting. It is also a dark red brown but I highlighted it with yellow and white and lowlights with dark purple and black…. My question is how do I make the corn stalk in the foreground pop and the girl seem close up? I’m worried I sold out my black too soon but I love the way it’s looking so I think it’s a color/shadow issue. Thanks! To make the yellow of the corn stalk pop, surround the yellow with touches of purple. This will make the complementary colours of yellow and purple work together to create a vibrant part od tne painting. Your website is amazingly refreshing with plenty of very applicable information. Your energy and enthusiasm is infectious. It is impossible not to take a brush and have a go after reading your articles or watching your videos! Thanks a lot. Hi Ganapathy, thanks for your lovely comments, so pleased you’re feeling inspired to get the brushes out and have a go! 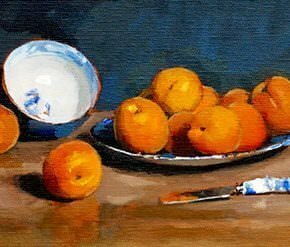 Thanks very much Will for such a brilliant website.I am fairly new to acrylics having worked in charcoal for years.I bought some Golden Open paint so do I use them more like oils.I am not sure which course to choose. Hi Barbara, have a look at this article on the pros and cons of using Golden OPEN acrylics. Hi will, thanks for this article. It’s very helpful. I’ve been getting frustrated as I have recently decided to buckle down and paint more professionally and consistently. I definitely have that rush attitude I realize because I expect myself to finish in a day. I think it’s the age we live in where we share everything online because I feel pressured to update my facebook fan page regularly. When I hold my works up to the works of artists I really admire (mostly impressionist painters) I feel defeat as my work feels too controlled and overdone. I’ve never attempted to copy a painting I like though I’ve been thinking about it lately because sometimes I don’t know what to paint. I don’t want to give up. I can’t see myself doing something other than painting but it seems hard to be successful in it. It can be hard when you try to put an internal pressure on yourself to always be creating something new, and updating regularly. Less is definitely more, try not to feel overwhelmed to update and publish a painting because you feel you should. I’ve been visiting Cezanne’s studio this week in France, and he just had his easel, the trees and his still life. No technology to distract him, so try a couple of copies of impressionist paintings you admire, they can be a fascinating way to understand more about an artist. Hi Will. I have to say, you got me pegged with this one. I have paintings on and near my kitchen table begging me to get back to them and I keep putting it off. I think it is the acrylics that have me daunted. Although I have done 2 good ones, black and whites, getting those colors moving in the time acrylics give has been frustrating. I prefer oils. Your mentioning Cezannes doubts about his drawing was something I needed to hear…well, all in all just a great article. I’ll be enroll isn’t in one of your classes in the next 24 hours. And then go get that strand of wheat done that I wanted to put in front of my pumpkin that I accidentally painted last week. Hi Debi, really pleased you enjoyed the article, and thanks for signing up for the Art of Acrylics course, really hope you’re enjoying it. thanks a lot to u.
I had to stop by and leave a comment to tell you how much this helped me. I had absolutely no motivation, it is wonerful just how your tips could change that. I am refreshed and ready to re-enter the studio now! Thank you! Good to hear it Ingrid, so pleased you’re feeling a new refreshed perspective on creating in your studio. First of all I must tell you the story of a guy called Eklavya who perhaps lived in my India around 2500 BC. Now this chap was a pretty poor kind of a teenager. No funds for education. He used to loiter around the then University where a big shot called Drona taught archery to the royality. Eklavya was so impressed by the techniques that he built an idol of Drona and copy the techniques he used to eavesdrop from across the walls of the University. Pretty soon he became very good. (Wont reveal the ending..its pretty gruesome)..Drona was a perfect Guru(teacher) even in absentia. Cut to the present tense. I have been following your online content and finding so much clarity and much needed guidance that I sadly find lacking in many of accomplished ‘teachers’ . You have an amazing ability to pull out the key areas of improvement and focus that a beginer otherwise can lose track. Something as simple as ‘squinting’ to establish values is a gem of a trick that most otherwise fine artists miss. I have actually started working on Acrylics with much more gusto after going through your site. But I have a major major major complaint. Please take up watercolors in your arsenal. Its a medium thats so beautiful and has broken my heart countless times. I and am sure many of your students are in love with watercolors but we do not find that love returned. Some help pleaseeee!! So pleased you’ve been enjoyed the lessons (your jug painting looks fab! love your style) and are enjoying experimenting with acrylics. I focus mostly on acrylic and oil techniques on the site but thanks for your thoughts. I just blindly followed your instructions and made an image… Dude..u are a magician. Please keep up the good work !! Hey Piyush, another fab piece, really like the abstract qualities to your backgrounds, it really brings the vibrancy and energy to normally monochrome piece. thank you for your extremely kind words. Really really encouraging. One request..!Till I can convince you enough to start something on watercolors, is it possible for you to guide me to some watercolor resources(frankly I stumbled upon your site by chance otherwise I wouldnt have touched acrylics with a barge pole. your articles are just correct for anyone and you seem to be able to have the magic combo of an artist and a teacher). Is anyone in this jumble of www as good(if not better) than you in watercolors? Lil help please?? Hi Piyush, arttutor have some good tutorials on watercolurs that you might find of interest. thank you. Will definitely have a dekko !! Will, I have spent almost three years learning to sketch properly, figure drawing etc. I have only recently started to paint in acrylics. your lessons as shown on utube have been so helpful. They are informative an inspirational. I would love to take your portrait course online. does it also include figure painting. I would like to hear back from you, on how to proceed. Thanks for your kind comments and pleased you’ve been finding the lessons helpful. 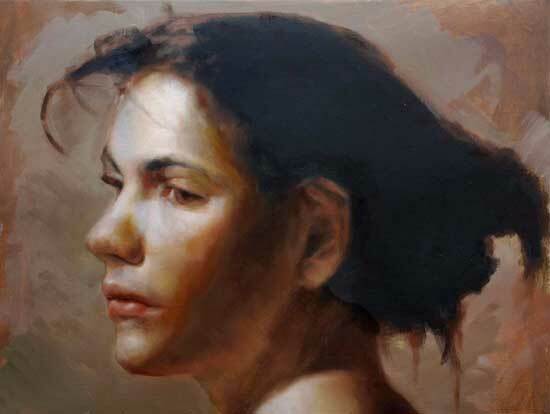 The black and white oil portrait course focuses on a single Iil self portrait in-depth. It doesn’t cover drawing the head or any figure drawing, but the step-by-step approach of painting a classical grisaille portrait with oils. Will, thank you very much for your prompt reply. My drawing skills are quite good, all my art supplies are acrylic, can the portrait course be done in acrylics.? Are acrylics limited to landscapes and still life’s. Hi Vincent, you can paint portraits with acrylics (I’m working on a new acrylic portrait course as we speak) but the black and white course is designed for a beginner to oil paints, so wouldn’t be the best match. 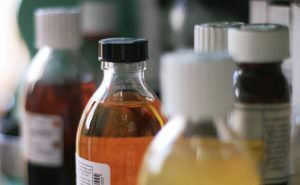 It can be adapted to acrylics, but for the particular technique demonstrated in the course oils are preferable due to the longer drying time. I have been painting for about 20 years and I have attended numerous art lessons. I decided to paint animals and I have been selling them in a gallery. I absolutely love acrylics , my website only show some of my work but I paint with lots of colour, I am stuck because I feel that I want to let go and just paint but I find it really difficult and I always end up painting in detail please help me and tell me how I can let go and just create !!!! Hi Sarah, the easiest way to loosen up, particularly with animal paintings, is to try painting from life. The very nature of the moving animal will help you become clear and concise with your brushstrokes, then when you come back to any paintings working from photographs you can incorporate some of this freshness to your work. Thanks a lot for that I also have need your lovely guide. I am very much interested to learn about sketch and oil,water painting. Presently i am drawing pictures of gods , Animals and nature , Girls pics. But still i am beginner to this and feeling as like not perfect in this. So planned to start going for classes of Arts . Can you please suggest me to start learning Oil,water paintings and drawing ( specially about Animals,nature,Humans pictures ) . Hi Swati, I would start with one of the free video lessons, go through the lessons and you’ll start to learn what style and techniques suit you best. Hi Joan, thanks very much for your kind comments, so pleased you’ve been enjoying the lessons on the site. Hi will. I don’t k ow how you get the time to so generously share with the world your amazing gift… You have given so much of your time and talent. Thank you for sharing with us all .you probably don’t even realise how much pleasure and joy you have brought into so many peoples lives.Thank you Will for being a giver …Joan. Thank you for all this help. It’s been very inspiring and encouraging. You’re a great teacher! Regarding this particular article, I was wondering about the protocols of exhibiting work copied from other artists who are still in copyright. You mention showing, at the Society of Portrait Artists, your painting copied (brilliantly if I may say so) from the Jacob Collins’ portrait. Am I correct in thinking that this is acceptable to all concerned, providing the piece credits the original, and either has the first artist’s permission for the work’s commercial use, or simply isn’t for sale? Regarding the latter case, is it that it would be shown simply as an example of a very fine capacity to copy? Maybe the Society of Portrait Artists has some guidance on this. I’d be grateful if you could advise. Hi Fleur, pleased you’ve been enjoying the article, it varies depending on the artist and the end result for the painting, the portrait was for a not for sale study and I referenced the artist in the title, for commercial resale it’s a little more complicated and i would strongly advise getting permission from the original artist. Thanks Will, that’s what I thought. Hi Will, it is great, I always find nice many useful art tips on your website!! Thank You very much ! Also I have found yours art lessons of acrylic painting on Linda. It is great! Very happy about that! I look forward the lessons about oil painting there also. Good one Nadya, pleased you’ve been enjoying the lessons. Your ideas are so amazing, so interesting!!! I learn many things from you, although I am a scrapbooker, not a painter. I always believe that there are mutual principles for all types of art. And here is an example. Thank you so much. I feel better now with my own work. I feel at ease to keep moving forward. Hope you enjoy your work and your ice cream. Thanks very much, really pleased you enjoyed the article. Thank you for the comforting words. I paint every summer and have done copies in the past but somehow I am “stuck” this summer. I have too many unfinished paintings so i am afraid to start another or fix/ complete what i have. Fear has taken over! Is there a way to fix a painting you’re not happy with or does one start over? Thanks for all you do to help artists of all levels bte! Hi Donna, yes of course, usually every morning I come back to a painting I’m not happy with it! Just take a break from the painting you’re working form and work on another subject with a different colour palette. Then when you come back to the first painting you’ll be able to see it with fresh eyes and a different approach. Please explain me the meaning of : paint with only one colour per week..
Hi Sukhman, just like starting with a Burnt umber and white or Prussian blue and white, try to see how much you can achieve with one colour first and then slowly expand your colour palette. Hello! This was my question, too. So if I was going to copy, say, one of Van Gogh’s sunflower paintings, I would treat it as “black and white” while using a single color – like a tonal sketch? Hi Liz, yes, you can learn so much just starting with a tonal sketch, especially with Van Gogh it’s a good way to practice the thicker handling of the paint in just one simple tone first, then when you start to introduce colour you’ll be feeling more confident with the techniques. Hey Will, I would like to thanks you because I start drawing better after reading your writing, so I have a dream to a great painter/drawer in my country Ethiopia so I got the key from you thanks again. That’s brilliant to hear Petros, so pleased you’ve been inspired. I just want to thank you because your activity beyond this i mean in art is very very good you do your own best the rest is our responsibility also this information, knowledge help me to increase my skill but i tried to draw portrait pictures but i can’t some of your information makes me complicated i don’t know why but i need your help cause i have a dream to a great painter/artist in my country not only my country also in the world. finally I am very grateful and glad to have found you. I’m very much a beginner and loving the way you teach. This article was very encouraging for me! Thanks Shirley, pleased you enjoyed the article. YOU ARE REALLY A GOOD PAINTER AND TEACHER TOO. THANK YOU FOR SHARING YOUR IDEAS OF PAINTING. Thanks Sami, pleased you’ve been enjoying the site. Not only have I learned tremendously by copying other artists’ paintings, some of what I’ve learned has become a part of my own painting style. The very slight reputation I have, among a very small group of admirers, is based on large reproductions I’ve painted for them of album covers for bands like Yes, Uriah Heep, Badger, ELP, etc. But today I need some advice on a painting surface. 1) 30″ x 60″ reproduction of Diego Rivera’s “La Gran Tenochtitlan”. and 2) a 30″ x 60″ original painting of the Mayan city Tik’al (the living city, not the ruins), in the same style as Rivera’s Tenochtitlan. Tenochtitlan, was a wall mural (fresco? ), so I don’t think canvas will make for a good reproduction, because of the underlying canvas texture. What painting surface (and any other tips) would you suggest to help me achieve a result that resembles fresco? Hi Mark, pleased you’ve been having good success with your master copies. For a Fresco look with acrylics, you could try experimenting with some Fiber paste as a base for the surface. You can mix water in with it to get a smoother finish than it first comes from the tub, but it will give you an absorbent/matte/textured look. This video gives you an idea of the surface quality to see if it would suit. Thanks Chelsy, pleased you’ve been enjoying the course. For oil brushes, the Ivory filberts from Rosemary & Co brushes are a great start. That’s great to hear Ivalo, really pleased you enjoyed the apple tutorial. I just read your information about painting. It was great help and advice. I really love painting. I hope one day very soon ,i be one of the good Artis. I am practicing every day and I will go to school two weeks from now. Hopefully ,i could achieve my goal and my dream became true. Pleased you found it helpful Masomeh. Well this is re-assuring advice. My last painting was comprised only of Ultramarine Blue and Burnt Sienna, with white for mixing. It’s not the most dynamic, but I love it and I progressed on assessing tones properly, and presenting light and shadow in a more realistic way. Restricting myself to only those colors was a great challenge, and with a lot of patience, I met and mastered said challenge. The painting I’m working on now is built from only from the three primaries and white. If nothing else, I’m slowly easing my way into being able to mix a variety of greens with only Cad Yellow, Cad Red, and UB. I’m very happy. It’s taking longer than I was hoping to complete it. I often progress more slowly than the schedule I imagine for myself in my over-working brain. It’s so easy just to say “be patient” and so hard to put that rule into practice regularly. This might help other people: I always cover the painting when I finish a session so I don’t obsess over it while I’m doing other things in that room. I don’t have a studio so I paint in the den, where I also watch tv and often eat dinner. When I’m getting ready to start on the canvas again, I remove the cover about 20 minutes ahead and glance at it casually while I’m setting up my colors, water and brushes. This is because I always feel a little fear when I’m starting a session. Once I’m ready, I take another 5 minutes or so just to stare at it. I find often that I’m very happy with things I thought were frustratingly bad when I finished previously. And eventually, my mind takes me to a place where I feel confident starting and before I know it I’m working again. Just keep painting. Have some canvases set aside that are strictly for experimentation purposes. I will admit I’m still apprehensive about copying a work I admire. But I’ll conquer that too. I’m targeting Armand Guillaumin. Pleased you found it helpful Gary. Thank you for putting it so wonderfully. It is very much relatable. As a beginner, I am inclined towards sketching and also painting with water colours. But it is really very difficult when I am actually sitting down to paint something. I am always stuck in the dilemma whether I should copy some art and try my hands on it, or whether I should get more originality in it. So I just have one question for you, what would you advice, should I do some reading so that I know what painting is all about, which will in return bring originality. Hi Shreya, you’ll find your best original ideas come from within the process of actually painting. So you can start with a master copy to get you going and then you’ll find yourself getting ideas for your own creations. Sir I glad to see your post.,you have a brilliant artistic mind,,I m inspired to see this..
Really pleased you enjoyed it Siba. Great article! Thank you so much for sharing. I love your website – full of info and great tips. Again, thank you. Cheers Fai, pleased you’ve been enjoying it. Thanks for such a fascinating, encouraging and very informative article Will! Glad you found it helpful Ann Marie. Will, You are fabulous. I have been doing watercolors since 1994, recovering from cancer. But I am now trying to get back into acrylics. I did acrylics like watercolor for some time, then as if they were oils. Did several of Bob Ross’s on watercolor paper, really liked it, but got away from it all somehow. Now I am in limbo. Where is a good spot to begin. I just did your apple, cherry, pitcher, and an orange, also tried the landscape… but have no plans. I am really into boats, ships, so maybe find one I really like and go for it, I guess? What would you suggest? Thanks a lot, your on line classes are fantastic, and your youtube demos are great. Hi Diane, great to hear from you and thanks for your kind comments on the tutorials. Yes, if you’ve had that experience with the tutorials and your previous watercolour work I’d start looking for some subject matters that inspire you and start making some small paintings. From there you’ll start to see patterns of colour, subjects and style that you’re constantly being drawn to and start a collection of paintings around that theme. I am new to acrylic painting and I am absolutely in love with your website & YouTube videos. They are so informative. I am so torn between the two easels. I do like the H frame as it converts into table and would be easy to add varnish to my paintings. But I also like the A frame as the central pole can move horizontally. What are your thoughts? What would you suggest for a beginner? ‘Copy from the Masters’?? that is why I frequent your website! I love your tutorials!!! Every painting i do I destroy, once in a while I keep one, but only when it felt good doing it and when i was “in the zone”.That zone is a mystery to me I cannot reproduce it because the more i try to be in the zone the less my painting go well, because I try too hard, only when I let go that I find it goes well. When I try too hard, I know because physically and mentally I struggle with hot flashes, backaches and headaches, that<s when I know I am way to hard on myself. I love the way you teach! My family and friends are amazed at what am I able to create but it’s actually your teaching that makes it so easy. I truly appreciate your tutorials. They are so professional and easy to follow. Often times I forget that I’m in my parents house and feel that I’m in your class in UK. I never taught that I would be able to paint, ever. When I was a kid I was doing horrible in school. My paintings were a mess, but I always had a great respect for painting and painters and I had a desire in me to paint and with your help that desire became a passion now. I’m 28 now and I started to paint 4 months ago and I can truly say that the saying “Anyone can paint” it’s so true if you have the right teacher. If I can paint, than anyone can. Thank you again! God bless, my friend! Looking forward to new courses/tutorials. That’s so great to hear Dragos, fantastic that you’ve been enjoying the lessons and seeing progress in your paintings.